Has Richard Sherman already seen his best days? After attempts to trade the star corner, it appears that Richard Sherman will remain with the Seattle Seahawks in 2017. Sherman’s overall grade of 84.6 in 2016 tied with his rookie year for the lowest of his career, but still ranked 13th overall in 2016. 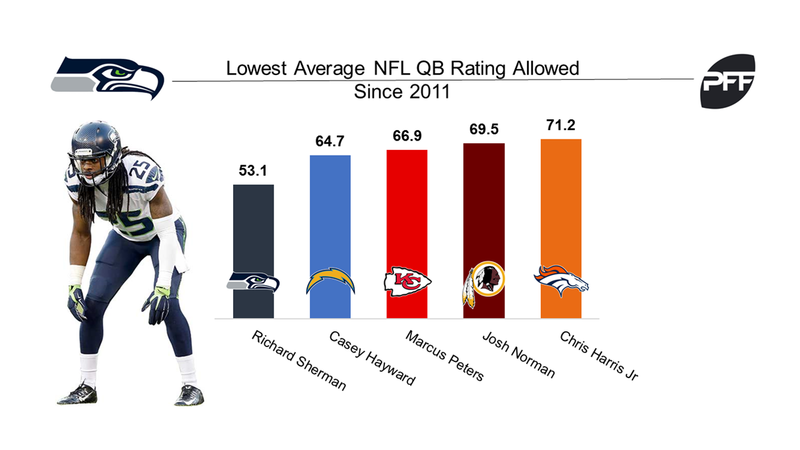 Quarterbacks’ passer rating when targeting Sherman in coverage in 2016 was the highest of his career in 2016 at 63.8, which was sixth-best overall in the league. Sherman is still an above-average NFL corner, but he’s probably already seen his peak.